God's Glorious Plan is Astounding! We have much to tell of upcoming activities. 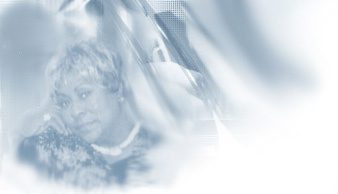 We pray that you are uplifted and find much joy through the spirit, as you explore our website. God Bless You All. Click link or image below for Information on the upcoming event! 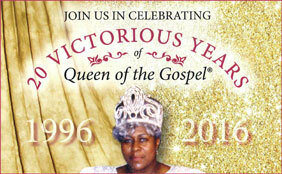 Join us in Celebrating 20 Victorious Years! New! 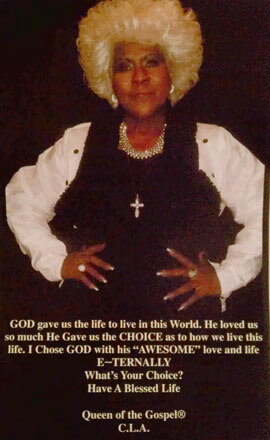 Watch "The Daily Confession by the Queen of Gospel"
The Lord has given me the Word of God for you. Blessed are the pure at heart: for they shall see God.